Addition to your homeschooling curriculum – Great math app to teach kids about counting numbers! The Reading Kingdom is a great homeschooling curriculum for reading, but how do you teach your kids about math? Fortunately, there are many different intriguing and interactive applications available for children to learn math skills to build their fluency and become great mathematicians. Today I’m reviewing the wonderful app, Dano Pirate & The Numbers because it helps children read and write numbers with ease! With 14 educational mini-games, this app attacks learning to count from a wide variety of fun, game based angles, and even teaches children to write their numbers right on the screen… I have been using Dano Pirate and the Numbers as one of the core apps for my 5-year-old this year. I bought it for Talk Like a Pirate day and we’ve been using it regularly ever since. It hits number knowledge from so many angles, with so many interactive games that it is really hard NOT to learn numeration from this app. It took a long time for associating numerals with quantity to really cement with my oldest daughter, so I’m incredibly happy to have high-quality apps like Pirate Dano available to reinforce and back-up my formal lessons on numbers. It takes SO much repetition to nail this skill, and you really need to get it down before you move on to operational math. I assign this app like a formal lesson in my homeschooling curriculum; it’s really that good. I’m happy to say that I have seen my daughter’s familiarity with numbers increasing, something I credit largely to Pirate Dano. The incremental automatic increase of difficulty means that your child will never feel he’s been tossed into the deep-end, the app starts easy and builds slowly, step-by-step. The top-notch graphics, animation, and design make this app a pleasure for children to use. As everyone knows, math and reading go hand in hand, so until next time, if you’re interested in a great online reading program that can be used as homeschooling curriculum or as the perfect supplement to your existing homeschooling curriculum. 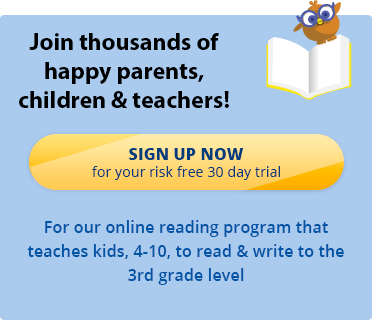 Sign up for a free trial of the Reading Kingdom interactive reading program for kids. Melissa is Reading Kingdom’s community manager and mom to two daughters, 4 dogs, 2 cats, and 2 tortoises. She is also an advocate for children with special needs as her youngest daughter suffers from Cerebral Palsy. Another major passion for Melissa is animal welfare and she volunteers as a foster parent for stray and abandoned animals.